Time seems to fly by so fast! The students have come back this week and there is a real buzz to the Faculty again. 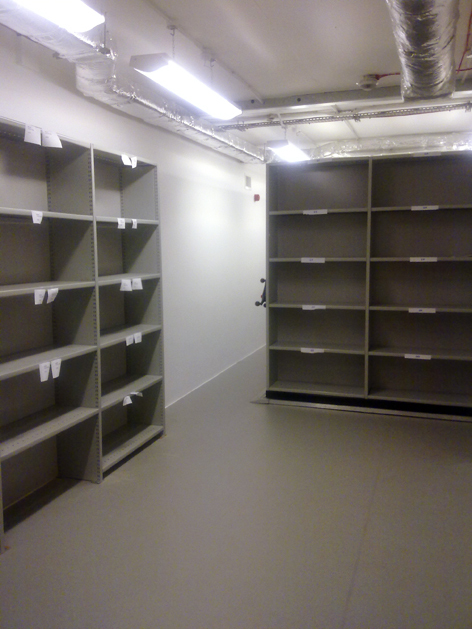 Despite some of the building works here in the basement of Grand Parade still continuing, our new archival store is ready and in use – the rolling shelves have been installed and are once again filled with materials! The Design Archives team have made a decision about the best way to store the large format posters I have mentioned in earlier posts. We are waiting to hear back from a suppliers in France about the new storage unit. In this, we are looking to place not only the largest format ICOGRADA materials but also the parts of this collection currently stored horizontally in plan-chests in the main area of the Archives. The arrival of the unit will also give us some room to re-organise the Archives’ ‘main space’ in which our ever-increasing team and researchers work in – with some strategic shuffling, we are hopeful that we may even have the space to accommodate more than two researchers at a time. Other news that I have been excited about this month is that we have purchased a roll of Archibond archival heat-set tissue and a tacking iron for the Archives. Once the storage unit and large Melinex sleeves for the posters arrive, I can begin the task of surface cleaning and repairing the more damaged poster materials. It will make the most sense to do this work before the posters get placed in the Melinex sleeves, which will be a task in itself due to their size and the way in which Melinex works by holding objects placed within it by static, preventing slippage – Melinex is an uncoated polyethylene terephthalate polyester known for its strength and chemical stability and is widely used by archives and museums. Once the posters have been re-housed, we are hopeful that there won’t be a need to come out of the protective sleeve. This will not only prolong their life but will also make them easier to handle with less stress placed on the paper itself when moving. The conservation work is, however, entirely dependant on a researcher-free day in the Archives as it will require a large table surface for me to work on. 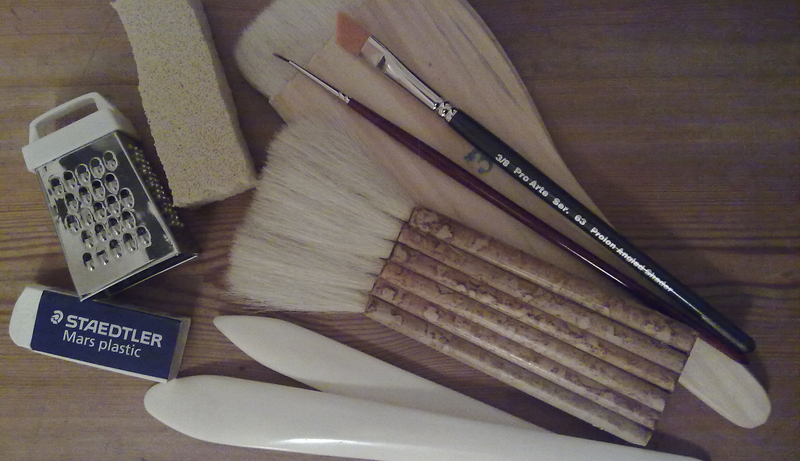 And now that we have the supplies on the premises, minor repair projects on areas of the other collections will also become possible if needed.